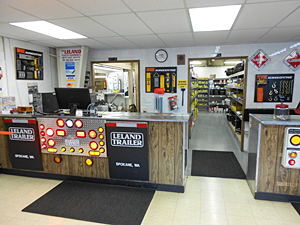 LELAND TRAILER & EQUIPMENT CO.
Parts and Manufacturers IT'S EASY TO GET PARTS! Chrome 5th Wheel Puller $9.95 each. Item 1210. 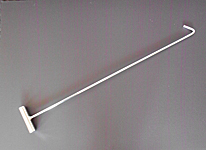 > Chrome Combo Winch Bar $16.95 each. Item 1327. 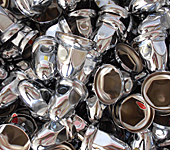 Chrome Lug Nut Cover 33MM $.35 each. Commercial Grade Brightener and Cleaner $14.95 per gallon. 21 LED 4" Clear Lens Red S/T/T $9.95 each. 21 LED 4" Red Lens S/T/T $9.95 each. 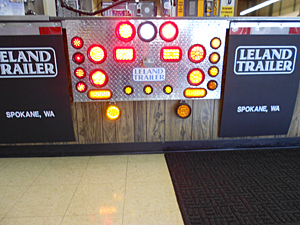 LED 2" Clear Lens Red Marker Light $4.95 each. LED 2 1/2" Clear Lens Red Marker Light $5.25 each. 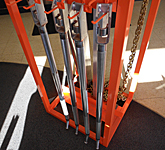 King Pin Locking System $21.95 each. Item 26. Kinedyne 4" x 30' Flat Hook Ratchet Strap $59.95 each. Kinedyne 4" x 30' Chain End Ratchet Strap $69.95 each. Item 24. Kinedyne 4" x 30' Strap with Flat Hook $10.95 each. Kinedyne 4" x 30' Strap with Delta Ring $11.95 each. Item 1105. Kinedyne Strap Winder $17.95 each. Item 1022. Kinedyne 21" Bungees $45.95 Box of 50. Kinedyne 31" Bungees $58.95 Box of 50. BRAKE PARTS – 60 TYPES OF CAMSHAFTS! 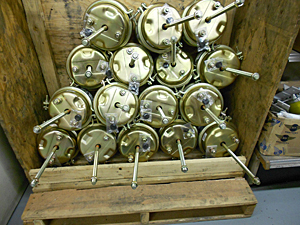 Webb, Dayton, Motor Wheel IN STOCK! BRAKE VALVES – ABS AND STANDARD! Brightener - One Gallon of the Good Stuff! 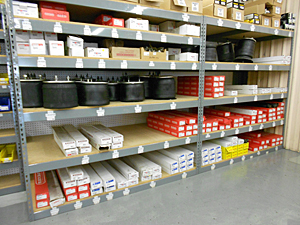 DOORS, DOOR PARTS, PANELS IN STOCK! Great Dane, Utility, Wabash, Strick, and others. Oil Hub Caps "6 hole"
Singles, Doubles, Triples, all the way up 9 leaf springs! 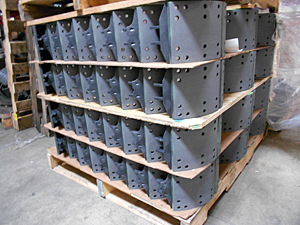 Big selection of other mud flaps. 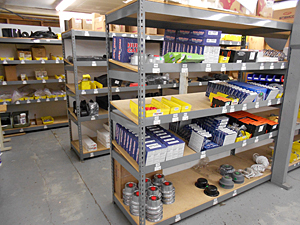 Monroe Shock Absorbers "all types" in Stock! 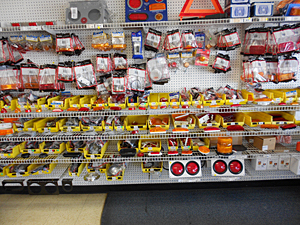 Hendrickson and Hutch parts in stock! 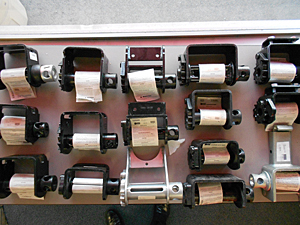 Bumpers for all types of trailers. 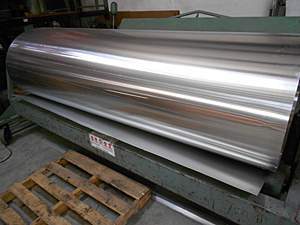 We have bulk rolls of aluminum and translucent roofing. 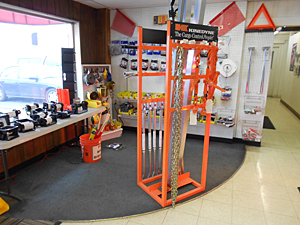 LELAND TRAILER NOW SELLS AND SERVICES LIFT GATES! 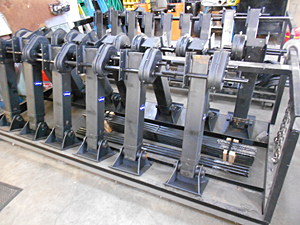 Leland Trailer sells new lift gates, installs lift gates, repairs lift gates, has parts for lift gates. Contact Leland Trailer for all your lift gate needs. Designed to fold neatly under the truck body, the Tuk-A-Way is the most popular and largest selling liftgate in the world. The Tuk-A-Way, a Maxon invention, marked the beginning of Maxon's success and leadership in the liftgate industry. 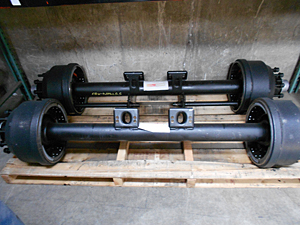 Heavy Duty, level ride Railifts are engineered to handle today's most demanding distribution requirements. Ideal for bulk delivery and wheeled cargo, the Railift Series' versatile platform designs option both above bed lifting and below bed storage at capacity levels from 2,000 Lbs. 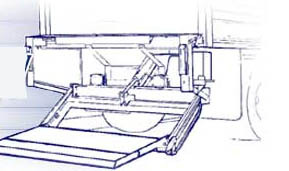 to 6,000 Lbs. 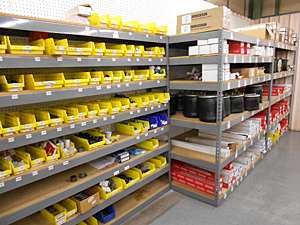 Make Leland Trailer your source for Firestone Airide® Air Springs parts and service. 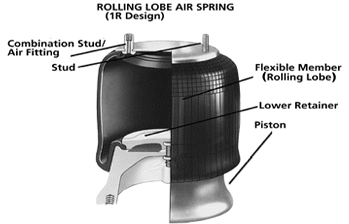 We offer the convenience of both Airide® Parts and Airide® Service under one roof to take care of all your Air Springs needs. Firestone Industrial Products Co. is the world's number one air spring manufacturer. 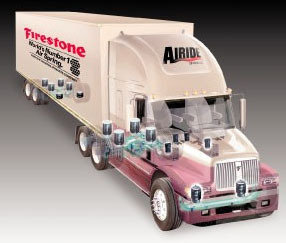 More than half of all the trucks on the road today in North America are equipped with Firestone Airide® springs. Firestone was the first to develop and market engineered composite pistons for air springs. This revolutionary material significantly cut both weight and cost, providing the trucking industry with millions of dollars of savings. IT'S EASY TO GET PARTS!